Directions: Siena is in Toscany (Italy). 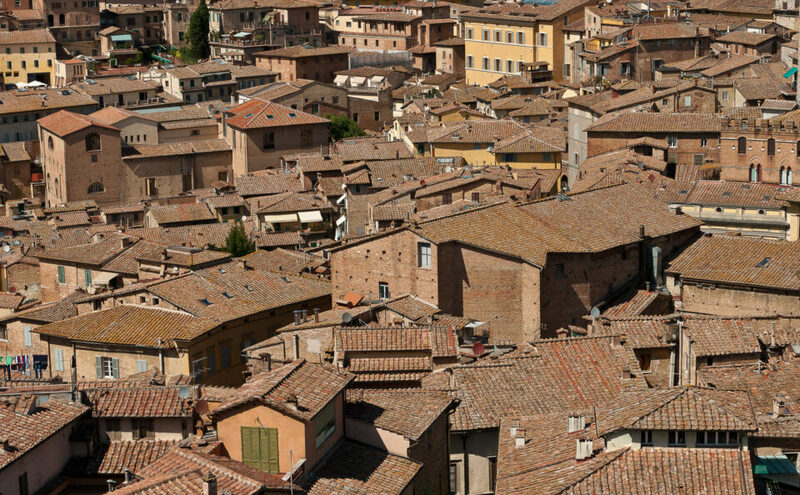 The cathedral is in the center of the city. 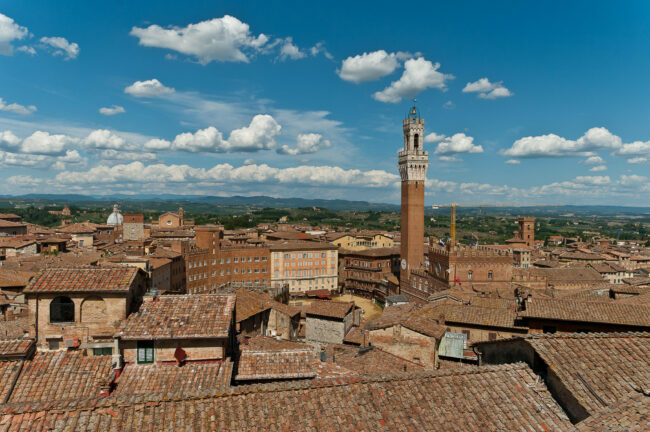 Toscany is a region of Italy with a strong history. 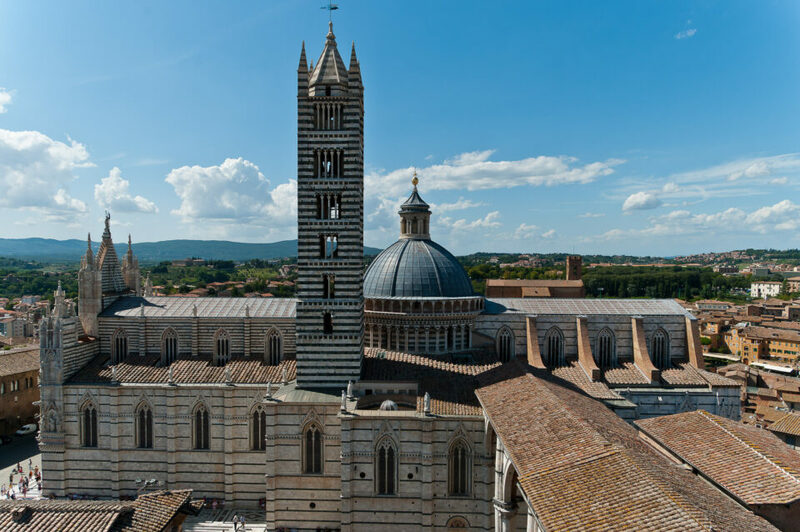 Siena is in the center of Toscany and its cathedral is impressive. Close to it, you can climb to a watchtower. The rules are strict: I don’t remember all the details, but it is something like “you go to the top 10 by 10, spend 5 minutes there, and come back”. In fact, they don’t really have a choice since the stairs are narrow and the space in the top is small. However, it is worth it, you have an impressive 360° view. 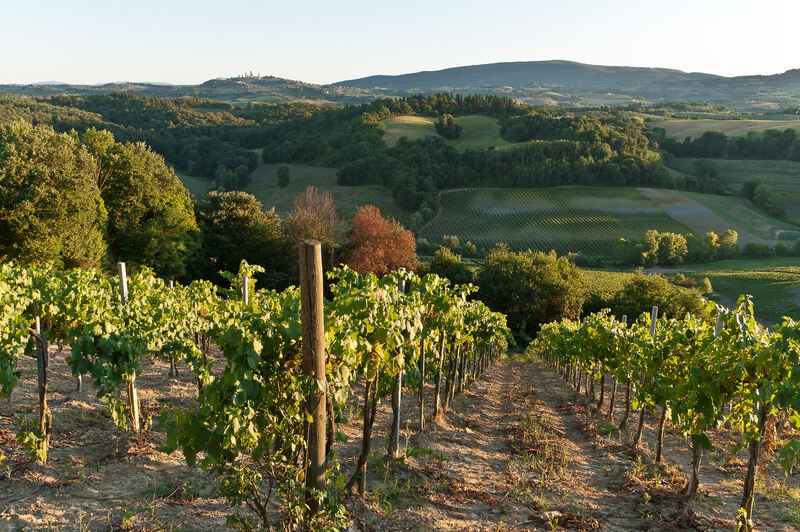 While you are in Toscany, be sure to enjoy the vineyards and the other cities around.